We are a name synonymous to trust and reliability. Based in Palakkad, Kerala, India, Inter Search Recruitment Services is long engrossed in this field. 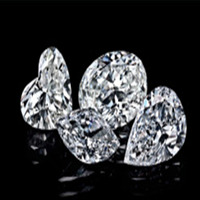 We cater to the varied staffing requirements of the clients from Gem & Diamond Industry. We are instrumental in offering the best solutions by ensuring that the candidates are qualifies and trained enough to fulfill the required criteria. Rely on us and we will surely provide you with the most suitable candidates.